A complex of shallow water bodies of differing size, from 1 to 420 ha, connected through channels. They were constructed in the flat valley of the River Lužnice. 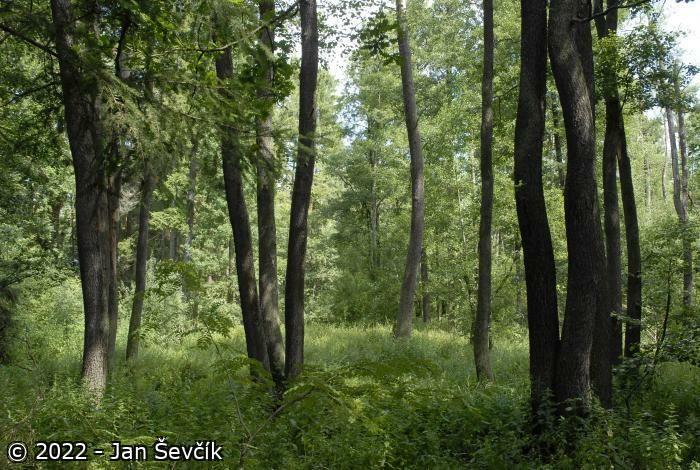 The original ecosystems – forests – were reduced to about one third of their original area. Many fishponds have a broken shoreline with well-developed littoral vegetation stands. 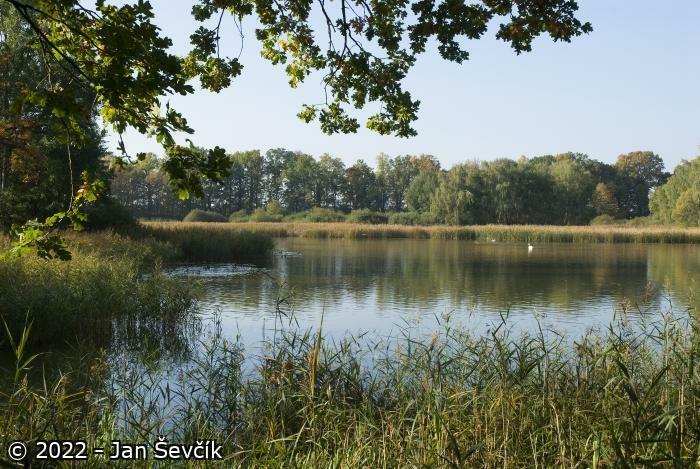 The Ramsar site includes 159 fishponds, and habitats closely connected with these fishponds, and wetlands, in the river floodplain, that are connected through water channels with the fishpond complex. 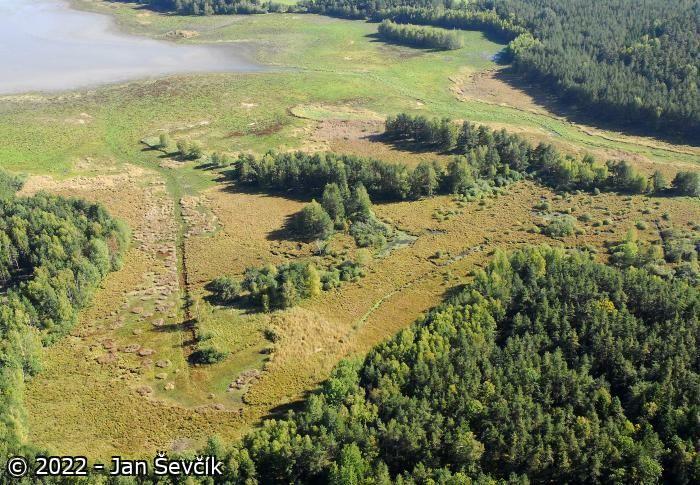 The hydrological regime of the fishponds is regulated with the use of artificial channels that interconnect the fishponds and bring water from the rivers and drainage systems of the forests. Such an artificial type of landscape has replaced former forests and wetlands. The water table of the fishponds is maintained artificially. At the present time, fishpond water is highly eutrophic, only very exceptionally mesotrophic. The local topography is flat or slightly undulating (Třeboň Basin) with a lack of sharp relief. Underlying rocks are primarily Cretaceous and Tertiary sedimentary (clay, sandstone, sand) with some crystalline rocks (granite, gneiss) present in the undulating eastern part of the site. Soils are composed of sands, clays, gravels and peats. The overall character and hydrology of the region is strongly influenced by human activity lasting for eight centuries, especially by drainage and building of fishponds. 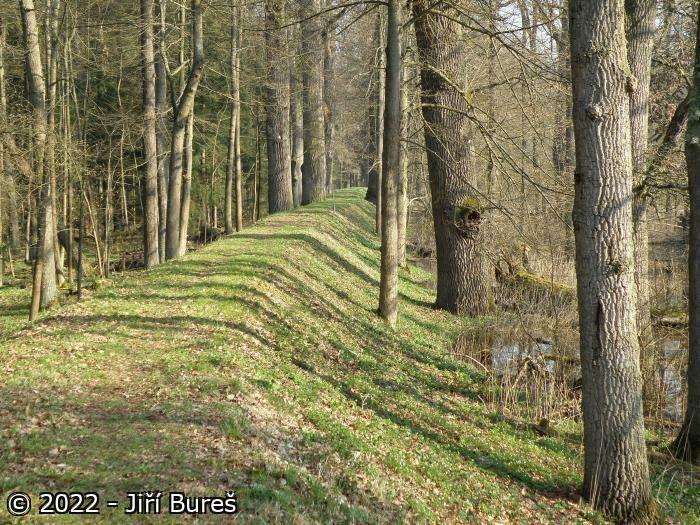 The site is characterized by a complex of rivers and streams (Lužnice /Lainsitz in Austria/ as a main river axis), dense network of artificial canals and ditches (New river, Golden canal), ancient shallow fishponds (159 fishponds built mostly in 14-16th centuries, varying in size from 1 to 490 hectares) and various types of alluvial wetlands. Hydrological regime of fishponds and canals can be controlled by technical devices, with seasonal draining and refilling of fishponds according to needs of local fish-farming technology. Water is mostly highly eutrophic or even hypertrophic as influenced by fertilization and liming. The moderately warm climate is marked by relatively long period summer of clear weather with an annual mean air temperature of 7.8 °C and annual mean precipitation of 627 mm. Fog occurs frequently due to large wetland and fishpond areas. 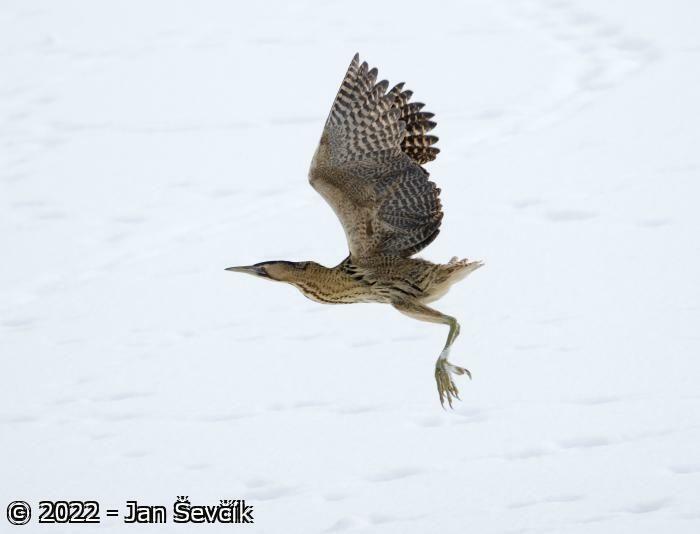 Winter snow cover up to 30 cm (60-80 days with snow per year). 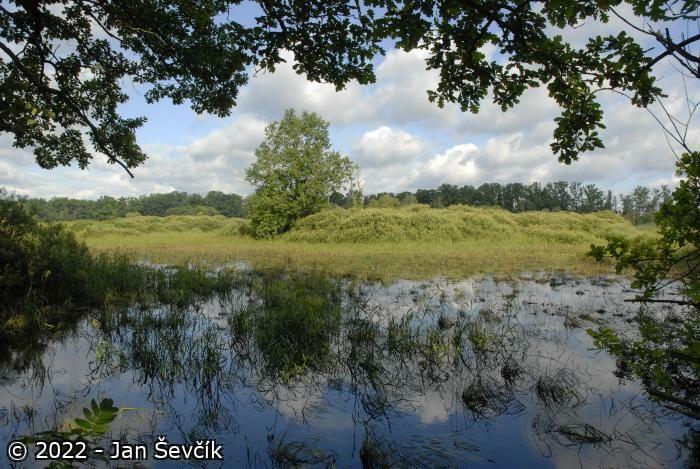 Main habitats are fishponds with adjacent littoral reed and sedge beds (Phragmites australis, Typha spp., Phalaris arundinacea, Carex sp., Juncus sp.,) and wet meadows. Plant communities at the border (ecotone) between water and land are very rich and diverse: these range from direct contact between open water and land (represented by either fields and meadows or forest), to a several hundred metre wide ecotone composed of reed - sedges - bogs and fens - willow carr - wet meadows. 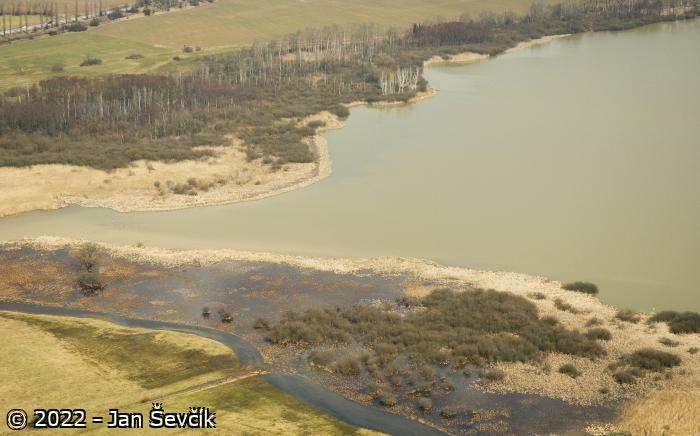 Artificial islands - sediment deposits as a result of dredging (in order to maintain fishpond depths) - have been created in many fishponds. Shallow sandbars appear only occasionally and temporarily. 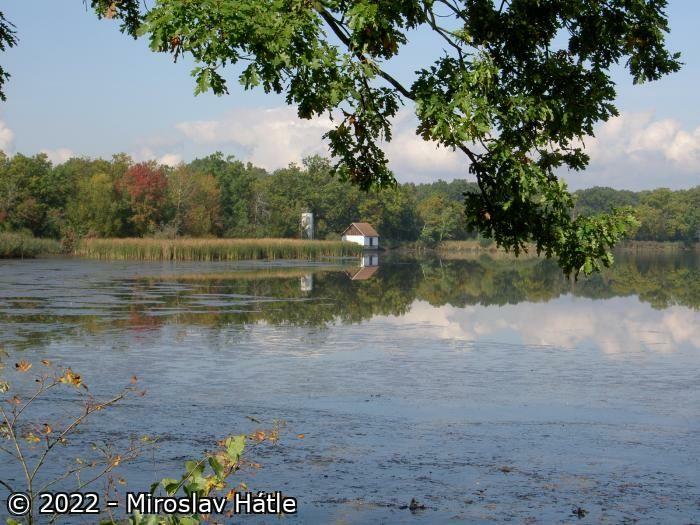 Communities of aquatic plants (Potamogeton spp., Ceratophyllum, Lemna sp., Batrachium sp.) 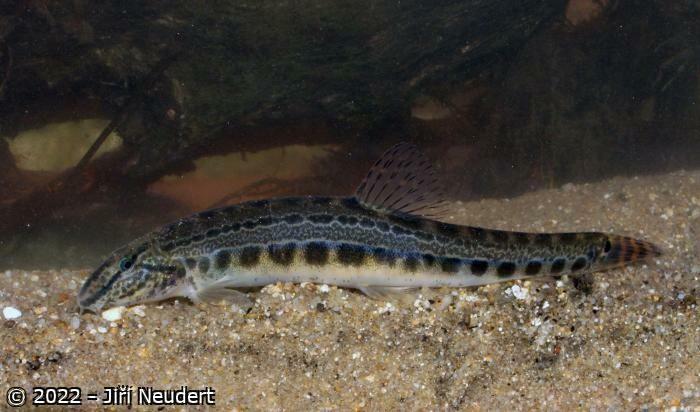 occur in some fishponds and in alluvial oxbows and pools. 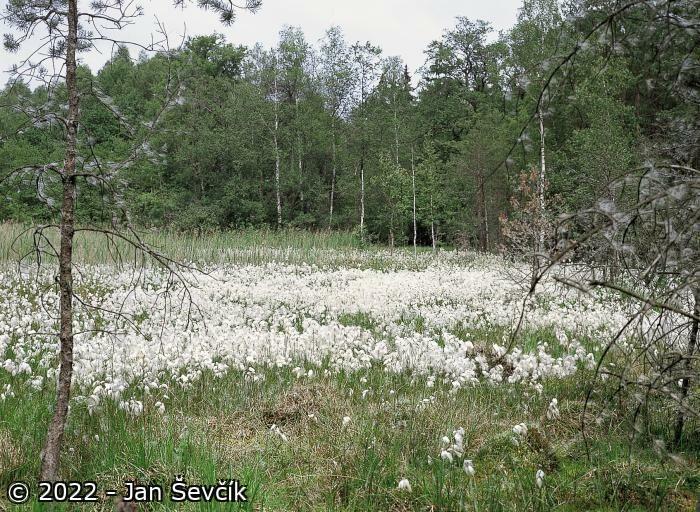 Fen woodlands and willow carrs occur in swampy areas with Alnus glutinosa and Salix spp. 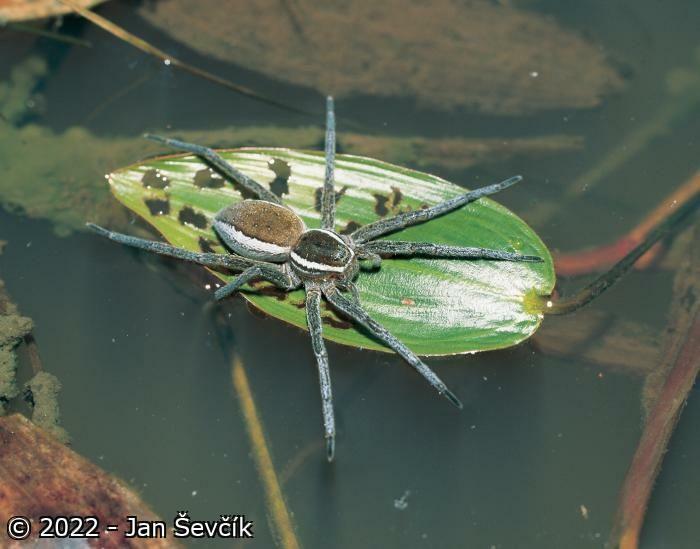 as the characteristic species. 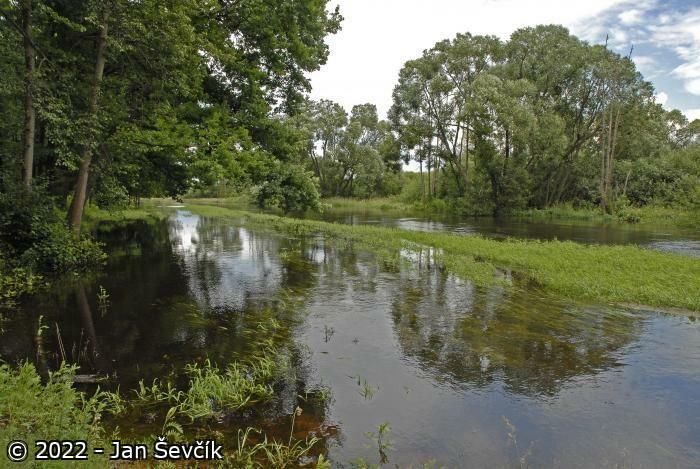 Smaller remnants of broadleaved forests are found in river flood-plains with Quercus robur, Acer spp., Tilia spp. and Ulmus spp. Surrounding area is mostly covered with managed forests, mainly Scots pine (Pinus sylvestris) and Norway spruce (Picea abies) while remnants of Beech (Fagus sylvatica) forests occur at more hilly sites. Thousands of oak trees (Quercus robur) form typical alleys on fishpond dams and dikes. 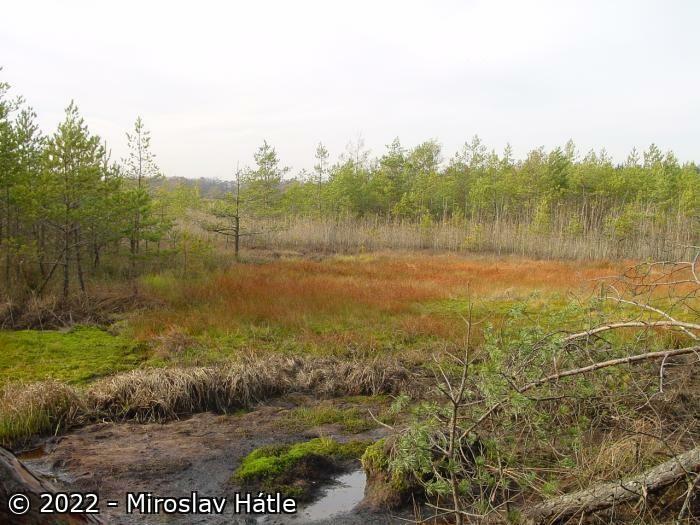 The whole Ramsar site lies within the Protected Landscape Area of the Třeboň Basin (Třeboňsko). 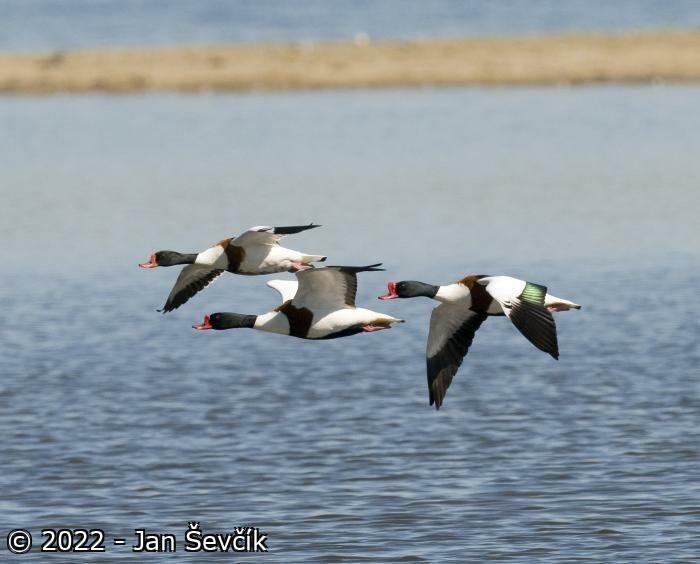 The most valuable biotopes have been designated as nature reserves, where destruction of the littoral vegetation and, in the vast majority, also waterfowl hunting is forbidden. Management plans (with an emphasis on conservation) have been drawn up for these sites. Other sites are exposed to typical economic activities, although the PLA Administration may intervene in all projects that involve fishpond dredging and thus destruction of littoral vegetation, application of chemicals, etc. Waterfowl hunting is restricted to 1-2 days a week, with the exception of those sites where reared waterfowl are being released. Fish-farming, forestry, agriculture (meadows, pasture), nature conservation areas. The major problem of the whole area is the increased water eutrophication due to the leaching of nutrients from fields, but also as a result of active fishpond management (i.e. 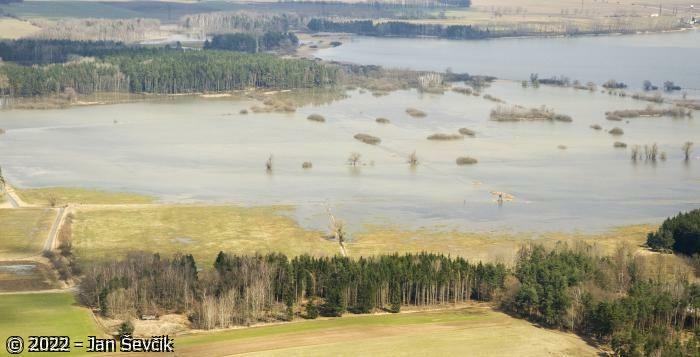 unsuitable water table management, destruction of littoral vegetation with the aim of maximizing the area used for intensive fish production, extremely high stock of carp (annual production reaches up to 5,000 tons of fish); all the above causes shortage of foodstuff for waterfowl and other animal species. Another problem is the increase of tourism, hunting, and more intensive utilization of areas that were not generally used in the past 40 years. Outside the Ramsar site, intensive management practices in agriculture and forestry (e.g. large pig farms, etc. 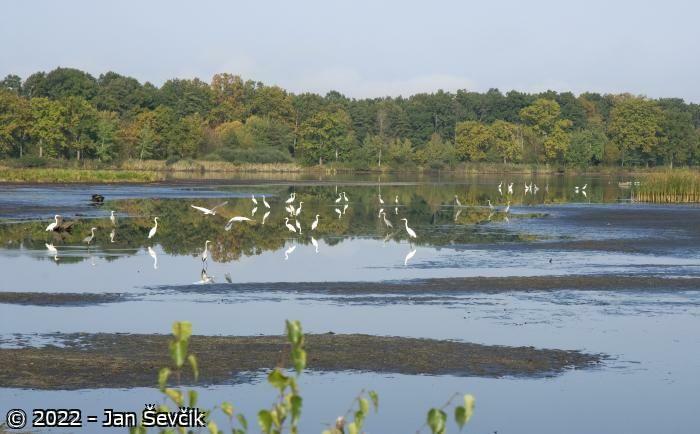 ), and municipalities without wastewater treatment, are sources of water pollution. 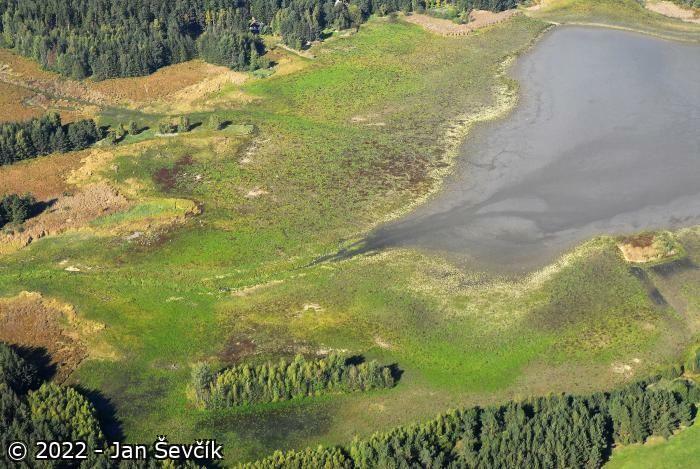 Hydrological values of fishponds and other wetlands at the site are represented by a large-scale water retention and flood control of regional importance and partially by sediment trapping and water self-purification. Since the 12th century the area has been gradually transformed by man, resulting in a recognized example of a harmonious landscape where managed semi-natural ecosystems are used by local population on a sustainable way. Several outstanding fish ponds and artificial streams (Golden canal, New river) have been proposed as a potential site of UNESCO World Culture Heritage. 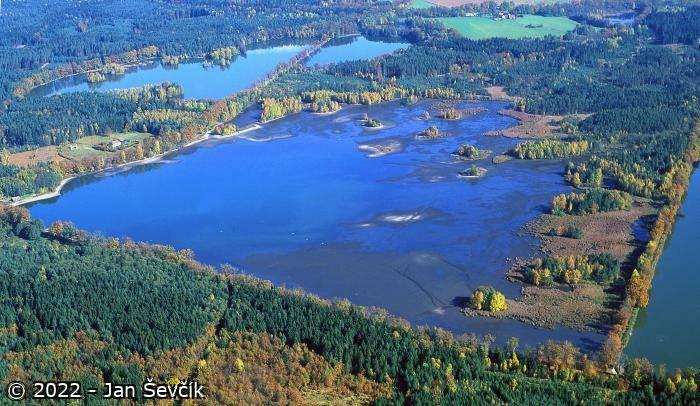 The site is important for the specific branch of traditional Czech fish-farming (carp) - about 2500 tons harvested annually. The South Bohemian “fishpond landscape” has been depicted many times in Czech art, poetry and music. 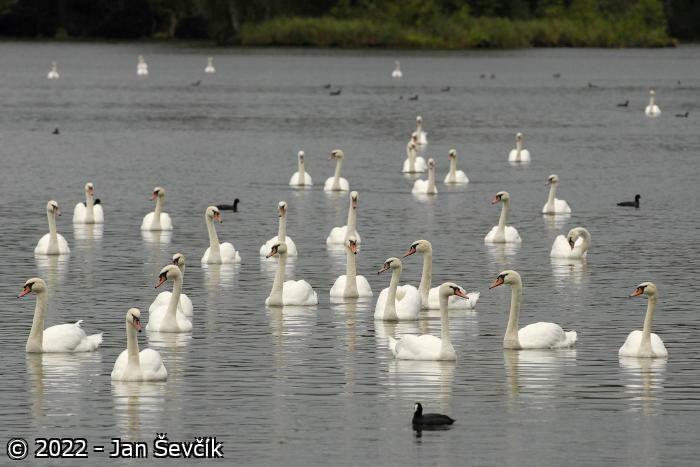 The Třeboň fishponds include sub-Atlantic, sub-Boreal and central European elements of aquatic and wetland flora. The blue-green and green algae include the following rare species: Batrachospermum vagum, Chara braunii, Lemanea fluviatilis, Nitella batrachosperma, Vaucheria borealis. Higher plants include: Alisma gramineum, Bidens cernua, B. radiata, Butomus umbellatus, Calla palustris, Ceratophyllum submersum, Cyperus fuscus, Elatine hexandra, E. triandra, Eleocharis ovata, Gnaphalium luteo-album, Hydrocharis morsus-ranae, Litorella uniflora, Nymphaea alba, N. candida, Plantago uliginosa, Ranunculus lingua, Sparganium minimum, Stratiotes aloides, Trapa natans. 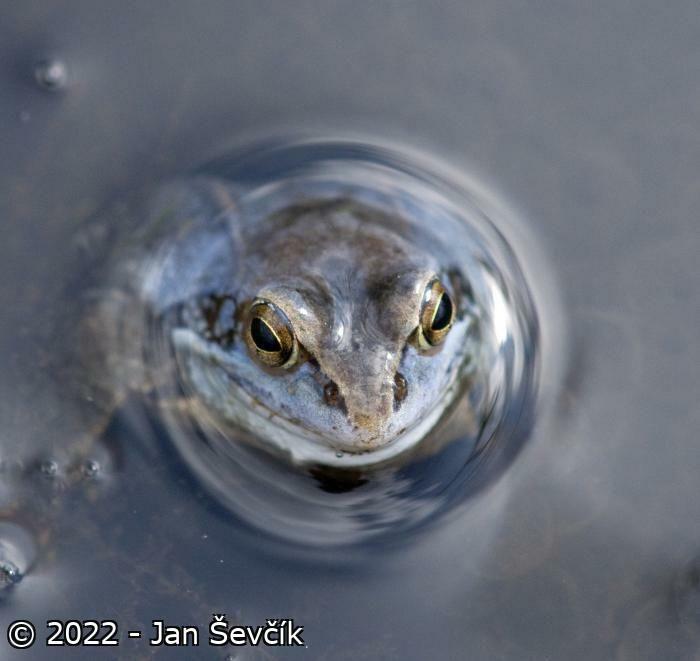 Wetland habitats along the fishpond shores, and the bogs and fens, support valuable communities of invertebrates with many rare and endangered species of molluscs: Pseudanodonta complanata, Unio crassus; crustaceans: water fleas Holopedium gibberum; dragonflies: Aeshna subarctica, Anax parthenope, Leucorrhinia dubia, L. rubicunda, Nehalennia speciosa, Ophiogomphus cecilia, Orthetrum albistylum; and spiders: Dolomedes plantarius, Gnaphosa nigerrima, Hygrolycosa rubrofasciata, Marpissa pomatia, Walckeneria nodosa. 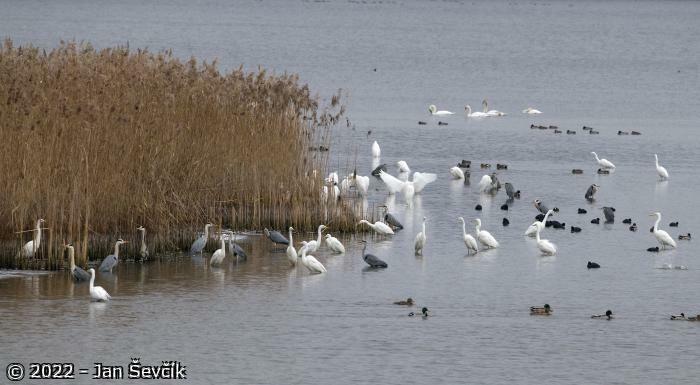 The area is important for bird breeding, including: Phalacrocorax carbo (100 pairs), Botaurus stellaris (1–5 pairs), Ardea cinerea (350 pairs), Ardea purpurea (up to 5 pairs), Nycticorax nycticorax (30–50 pairs), Ciconia ciconia (20 pairs), C. nigra (5–10 pairs, breeds outside site but is dependent on fishponds for food), Cygnus olor (50 pairs), Anser anser (200 pairs; on migration stop-over sites at Tisý and Horusický fishponds up to 11 ,000 individuals. 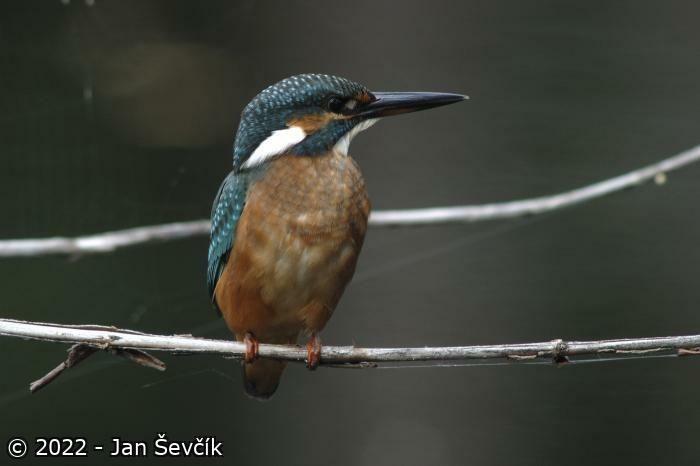 ), Bucephala clangula (50 pairs), Netta rufina (20–30 pairs), Chlidonias niger (10–20 pairs), Sterna hirundo (100–200 pairs), Haliaeetus albicilla (10 pairs, including adjacent area, dependent on fishponds for food), Circus aeruginosus (50–60 pairs). 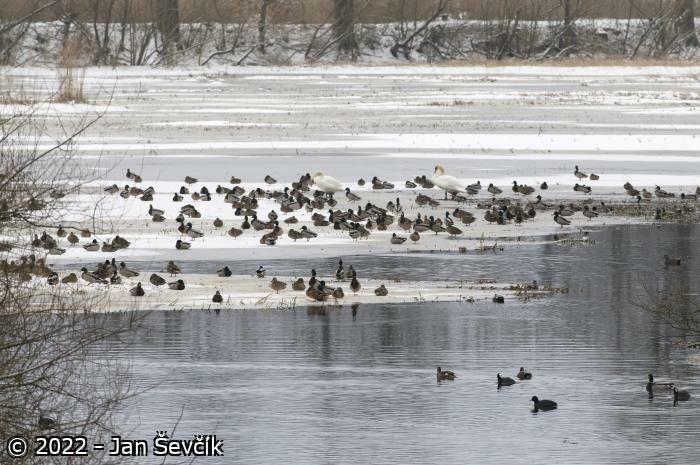 The area is an important stop-over site for waterfowl on migration (up to 15-20, 000 indiv.). It is also the most important site for the otter Lutra lutra (more than 100 indiv.) 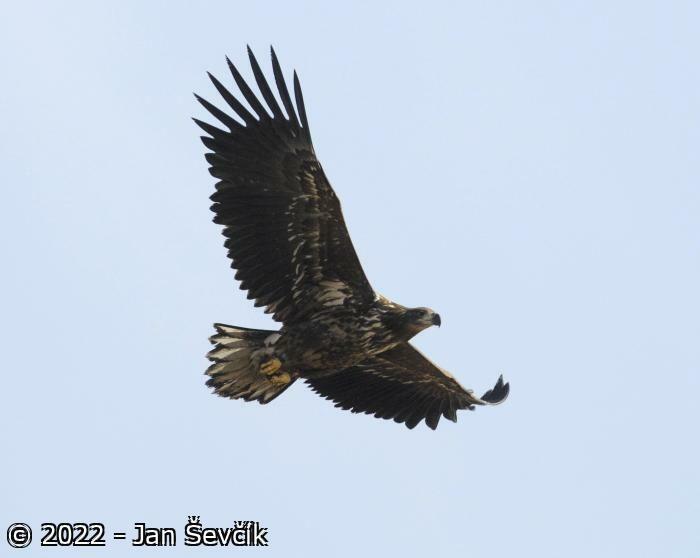 in central Europe. The site is included in the network of International Long-Term Ecological Research Sites (ILTER). The Institute of Botany (section of plant ecology) of the Czech Academy of sciences located in Třeboň, Institute of hydrobiology of CAS and of South Bohemian university located České Budějovice as well as several scientific and academic institutions from Prague (Charles University, Agricultural University) and Brno are actively involved in research and monitoring of Třeboň wetlands. 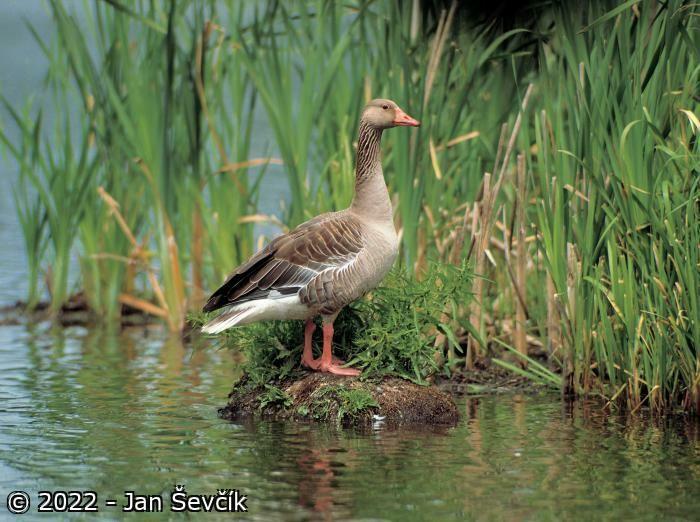 Main topics: role of wetlands in the landscape, wetland climate, fishpond hydrobiology and hydrochemistry, cultivation and reintroduction of rare wetland plants, biology of common reed and other important species, waterfowl census, fish-farming - water birds relationship. 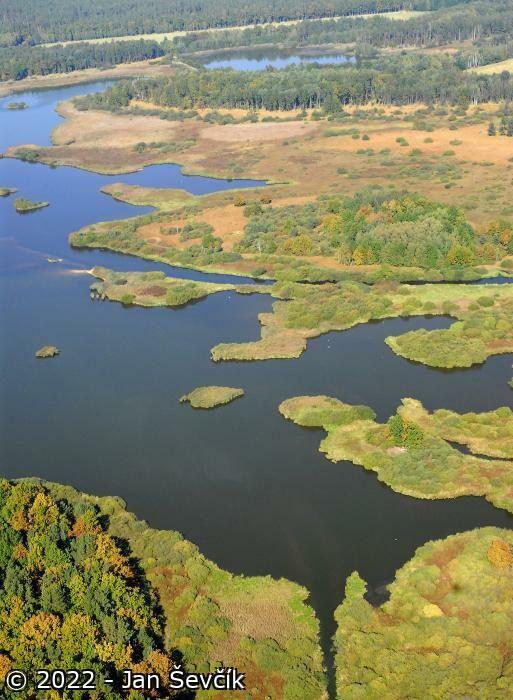 Wetland Training Centre linked to Wetlands International has its unit in Třeboň, organizing research, national and international training courses and publishing books and information brochures. The Administration of PLA/BR is organizing regular hydrobiological, botanical and ornithological monitoring of fishpond nature reserves as a basis for its administrative role. 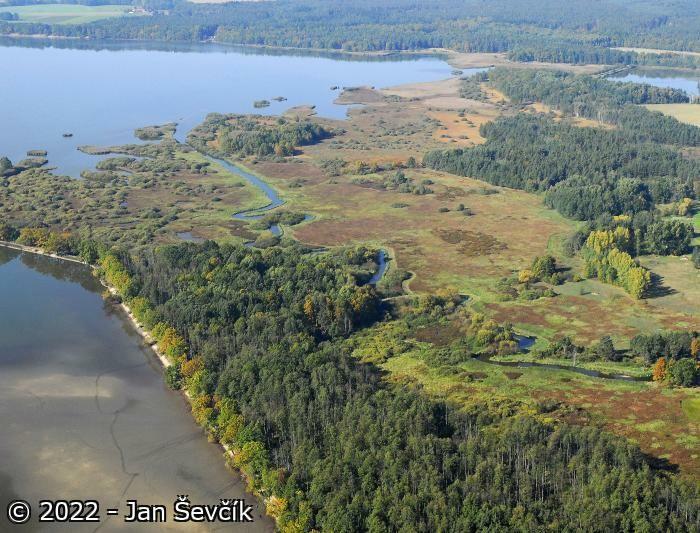 Czech Otter Foundation has its headquarters in Třeboň conducting extensive otter research since 1994. 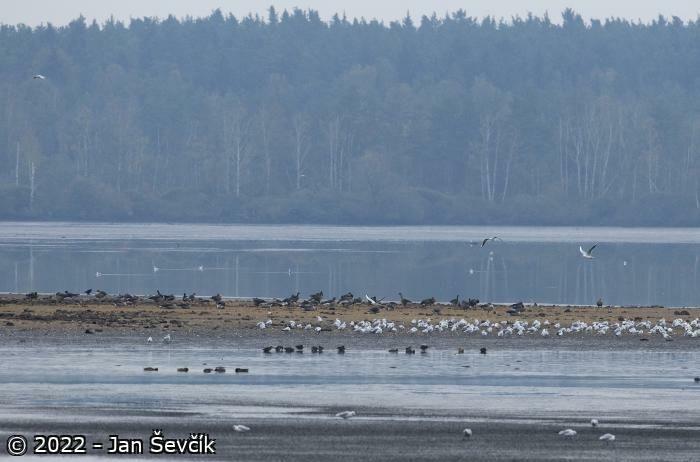 The Ramsar site is used for recreation and tourism as a part of popular Třeboň Basin PLA/BR. Summer activities prevail (camping, hiking, cycling, swimming, river canoeing, mushroom and blueberry picking etc.). Třeboň is an official spa resort running two spa houses throughout the year. About 50 000 - 100 000 people visit this area every year. 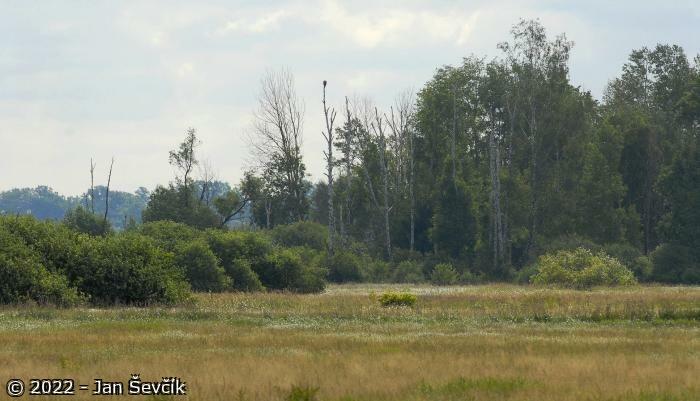 The most of activities and necessary infrastructure for outdoor recreation and tourism have no harmful impact on protected wetlands with exception of commercial hunting for ducks bred in captivity concentrated in several areas. 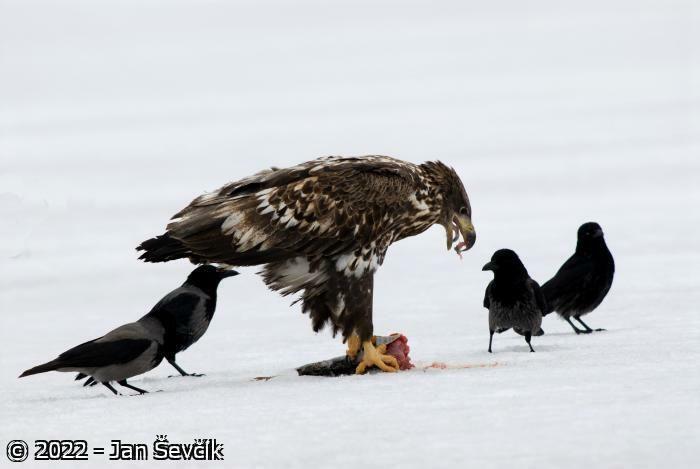 Birdwatching is allowed at suitable sites outside reserves. Motor boats used for recreation are prohibited at fishponds. Swimming and bathing in fishponds is limited by water quality to several sites. 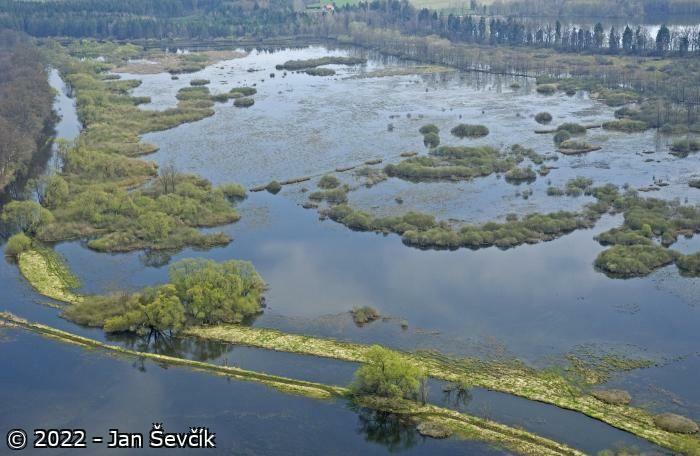 Třeboň Fishponds RS contains representative types of alluvial wetlands and fishponds that are typical for this biogeographic region. The number and total area of fishponds is unique compared to other regions. 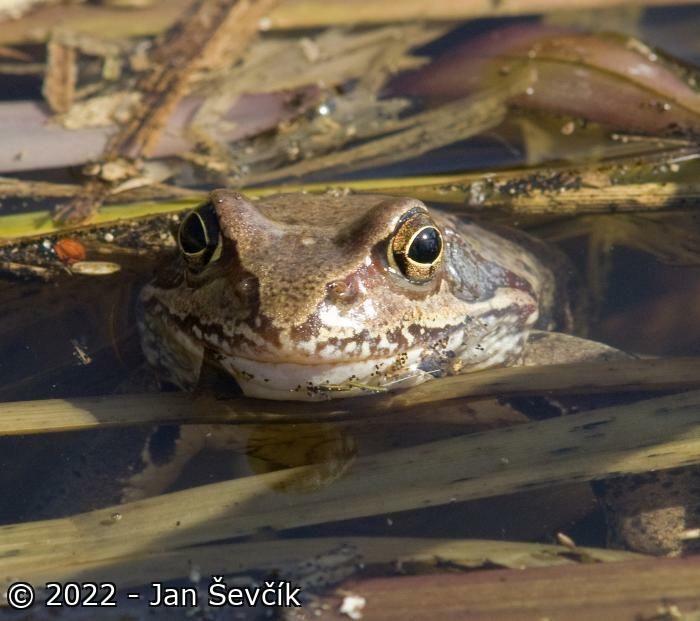 Several types of rare and endangered types of wetlands are associated with fishponds (littoral reed and sedge beds, wet meadows, small peat-bogs and acidic fens). Several vulnerable, endangered or critically endangered plant and animal species occur at the site. Core area of Czech otter (Lutra lutra) population. 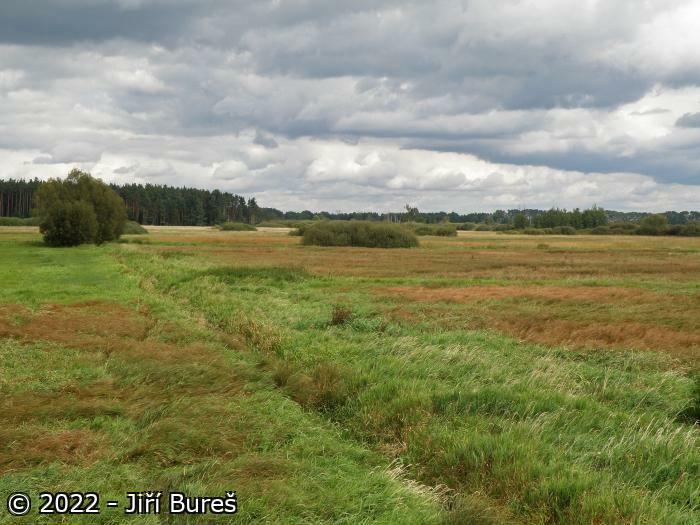 More than 20 000 waterbirds are regularly supported by this wetland site (breeding, wintering, staging, migration). Ramsar criteria: 1, 2 and 5.